Spring has been taking its merry old time to arrive this year. One day will be in the 70s, sunny, warm with still a hint of chill in the shade. The next day its in the 40s with a cold rain. This time of year I get excited at the idea of the new vegetables that will appear in the co-op and my weekly Saturday morning visits to the farmer’s market that will begin in June. After a long, cold, snowy winter, the thought of seeing anything that has come out of the ground here as opposed to California is reason for celebration! So with the impending Easter holiday, I hadn’t really made a plan for dinner, as I had thought I’d be out of town. When those plans changed on Thursday, I started to think what would be on the menu. I always try to make something spring-like to celebrate the new season. With a meal earlier in the day with my family, dinner would be small and at the usual 8 p.m. As I perused the grocery store, I thought of what I wanted to accompany the roasted chicken I was going to make; of course, the carb-addict in me wanted stuffing, but then I thought of potato salad. 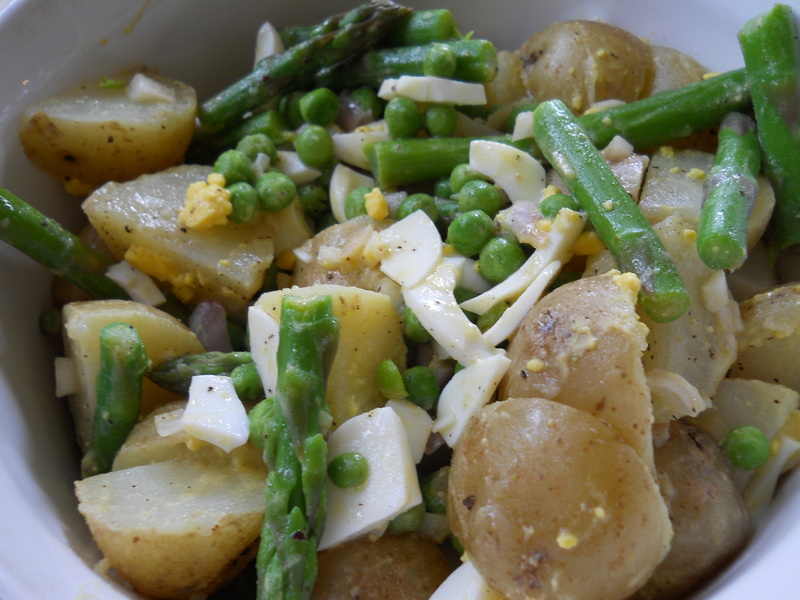 As I began cooking Sunday morning in preparation for the evening, I noticed I had asparagus, frozen peas in the freezer, a little bit of a leftover shallot, so I created this as a more healthful version of the usual mayonnaise-laden side dish. While I love that, this is a different spin. If I had some fresh herbs or parsley, that would have been a nice addition. I have had France on my brain for some reason lately and thought this would be a perfect salad to bring along on a country bike ride, since it really doesn’t need to be refrigerated. So with all the French ingredients in it, I decided to have fun with the name! Apologies in advance for the approximations. This is a salad for four, but can easily be doubled to more people. Note: This is my go-to vinaigrette any time I want an easy salad dressing. 1. If you’re using frozen peas, take out of freezer and let them defrost in a small bowl. 2. Bring a pot of water to a boil. Add each potato individually and bring the water back to a boil and cook with the cover off. I checked each potato after about 7 minutes or so and pricked with a sharp knife to check for doneness. Each potato cooked individually based on its size, so each were taken out of the water at different times. Place in a bowl until all are finished cooking to cool. To the boiling water, add the asparagus and cook for 2-3 minutes, just enough time to blanch. 3. In a bowl, cut the potatoes into fourths or sixths. Add asparagus and peas. Mix. Add shallots and mix. Add lots of freshly ground pepper and a dash or two of salt. 4. In a separate bowl, mix the vinaigrette. (I take a little bit of olive oil, more vinegar, and about a teaspoon or so of mustard. 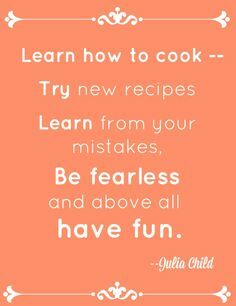 Mix, taste, and adjust accordingly.) Add to salad and thoroughly mix. Add to serving bowl. Can be served either warm or chilled.